Is this in your future of home security and home automation? Using Amazon Echo’s cloud-based voice service, Alexa, Alarm.com users can control the lighting and comfort in their smart home. LAS VEGAS — Alarm.com announced plans for smart home voice control for lighting and smart thermostats through Amazon Echo. Alarm.com users will be able to control the lighting and comfort in their smart home with the hands-free convenience of voice commands. With Amazon Echo and the Amazon cloud-based voice service, Alexa, a simple spoken command, such as, “Alexa, turn on the living room lights,” triggers a response in the home. Alarm.com says it’s one of the first smart home security platforms to integrate Amazon Echo. 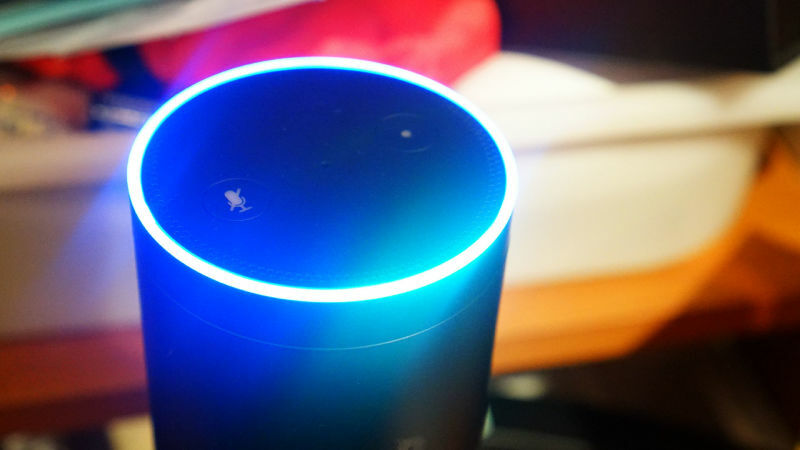 With a broad ecosystem of connected devices, Alarm.com also plans to expand voice control and enable new interactions through Alexa’s Skills Kit. The Amazon Echo and Alexa integration makes voice control the latest in a wide range of options for controlling an Alarm.com smart home. Users can already interact with their homes via the web, smartphone and tablet apps (iOS, Android and Windows Phone) and apps for wearables and smart TVs.